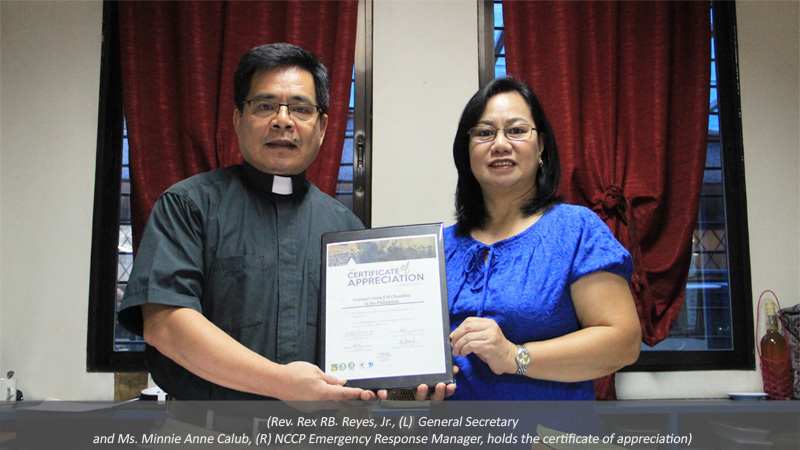 The NCCP is grateful to the Rural Missionaries of the Philippines, Tulong Kabataan of Northern Mindanao, Rural Missionaries of the Philippines, Northern Mindanao Region, Panday Bulig Relief and Rehabilitation Center and Tindog Ranao for the Certificate of Appreciation. 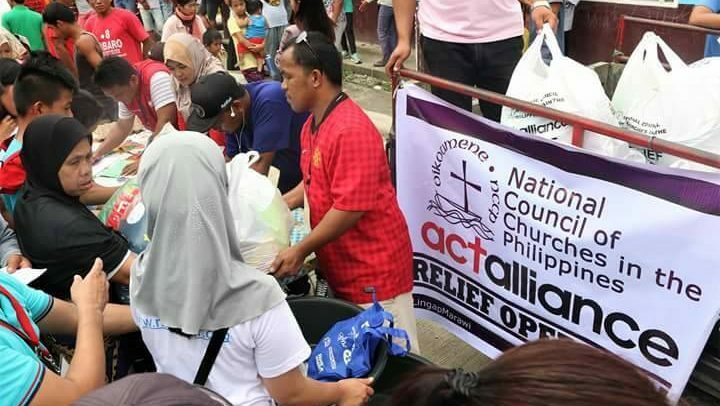 We receive it and thank you in the name of the 10-member- churches and associate members of the council, its officers and the men and women of its national secretariat office. Christian teachings impress upon us that internally displaced people is not in keeping with God’s design for community building. By their very status internally displaced people are among the most vulnerable group of people-alienated from their familiar habitations and prey to those with ill will towards others. Jesus Christ teaches those who follow him that he “desires mercy and not sacrifice” (Matthew 12:7). Mercy is motivated by none else than the desire to love above all else. Love does not rejoice at wrong but rejoices in right. (1Cor.13:6) Love encourages hope.